The requirements for SAT-IF distribution technology become increasingly more diverse and more complex. In addition, customers become even more demanding and require central solutions. We assist you with specialist and practice-orientated know-how across brands and manufacturers. In this way, you guarantee your customers a fast effective solution to problems and thus a high degree of customer satisfaction. 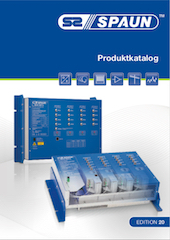 SPAUN electronic is not only a manufacturer of high quality products. Our technical hotline staff will accompany already during the planning phase of your projects. By using up-to-date CAD planning software SPAUN electronic also offers you specifically customized solutions tailored to commercial sized major installations. SPAUN competence can be called upon by telephone or online. If you are an enduser please desist from contacting our hotline and get in touch with your local specialist dealer. Please always use the regarding form for antenna-plannings. Do you have questions regarding our products? The most asked questions can be found in our FAQ section. Please have a look before contacting our hotline. If you have to return repair or exchange parts, please include a completed Repair Covering Letter. Important hints regarding repairs can be found here.